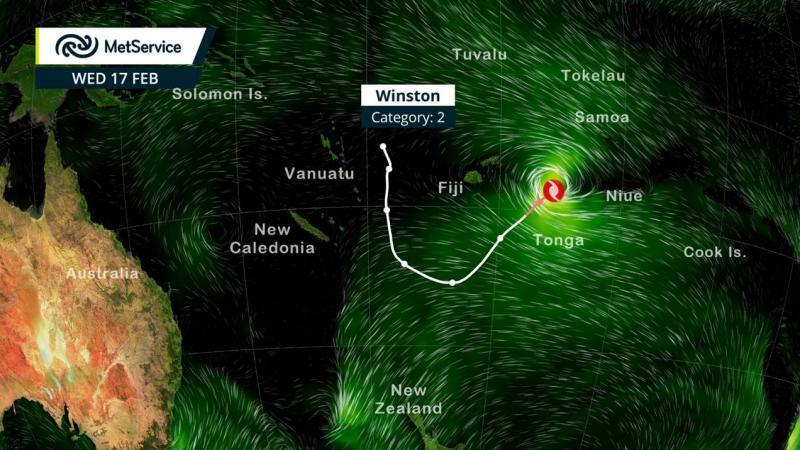 The centre of the severe Tropical Cyclone Winston was located about 360 km south-southwest of Ono-I-Lau or about 505 km south-southeast of Kaduva at 9 am today (Monday 15 February 2016). 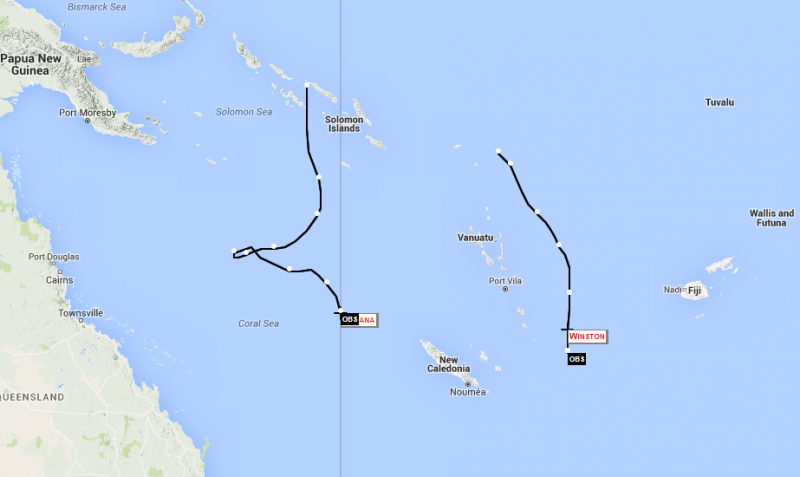 The cyclone is moving east-northeast at about 24 km/hr. Winds close to its centre are estimated to be around 120 km/hr, with gusts up to 170 km/hr.